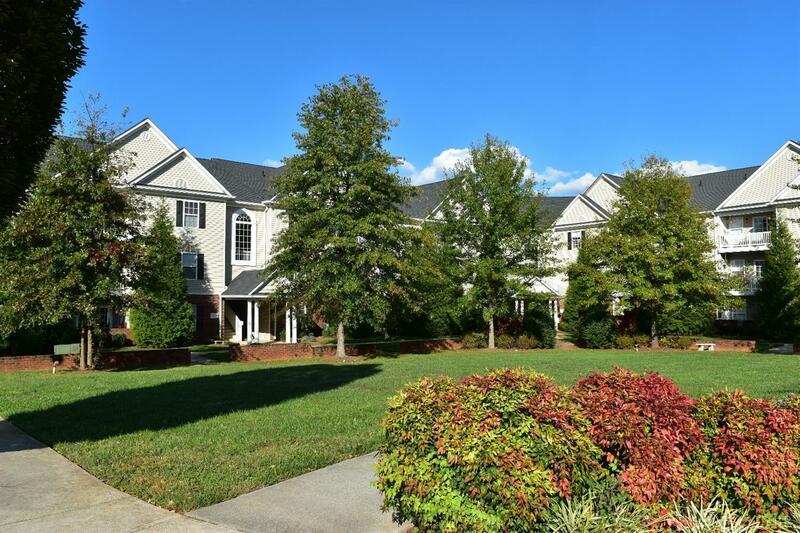 You will LOVE the amazing mountain views from this top floor unit in the opulent community of Wyndhurst! The current owner shares so many sunset pictures for many to enjoy! Being on the top floor affords not only amazing views but also extra quietness with no one living above you. The open floorplan is highlighted by vaulted ceilings and an electric fireplace in the great room (the one in place does not work-there is a new replacement available that buyer can have installed after closing). The dining area flows into the kitchen with extra bar seating available and a nice sized pantry. The Master Bedroom features a full bathroom w/ceramic tile and walk-in closet. The second Bedroom has walk-in closet. There is a full bathroom in the hall and a Laundry closet. The outdoor terrace has a closet for extra storage. At this great price it's easy to make The Gables at Wyndhurst your new home today!